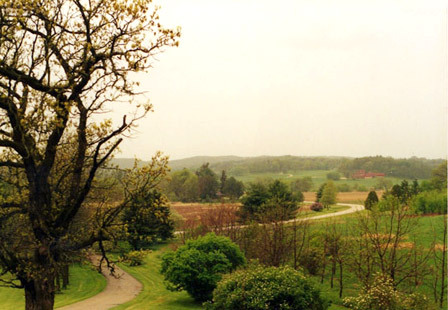 Aldebaran Farm is located in the "driftless," or unglaciated, region of south-central Wisconsin, an area of rolling hills and valleys and picturesque farms. It's just south of the village of Spring Green, walking distance from Taliesin and the Frank Lloyd Wright Visitors Center, and minutes from the Wisconsin River, American Players Theatre, and Tower Hill State Park. Recreational opportunities include the Springs Golf Course, designed by Robert Trent Jones, canoeing on the river, and walking, hiking, and biking through the glorious countryside that inspired America's greatest architect. "After a while," Wright told his sister Maginel, "the valley taught me everything." Click for details and directions. Zoom in to see nearby attractions and stores.